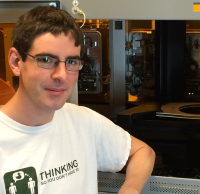 I am a software developer at Brooks Automation where I work on robots that move silicon wafers. I enjoy playing around with parsers, static analysis, and file systems. ZfsSharp A .NET program that reads the ZFS filesystem. m2net A .NET library to develop Mongrel2 handlers. Austin Lisp A little lisp implementation in C#. RegexEngine Converts regular expressions into MSIL bytecode. Additional projects Publicly available on GitHub.